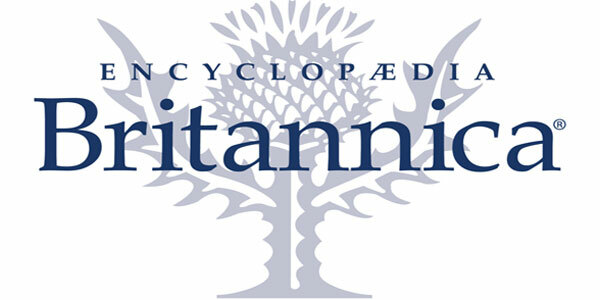 Deerfield, Illinois (December 1, 2014) – JRL Group announced it has secured a licensing partnership between Encyclopaedia Britannica, Inc. and Phoenix International Publications, Inc. to develop and market a line of high-quality educational products under the Britannica Kidsbrand. JRL Group is Encyclopaedia Britannica’s exclusive licensing agency. “We look forward to working with the team at Phoenix International Publications to tap into the content rich library of Encyclopaedia Britannica,” stated Andrew Lieb, President of JRL Group. “This partnership will complement the other Encyclopaedia Britannica branded educational products already sold at retail. The first product, Britannica Interactive Animal Library, is now available at leading retailers including Costco, Costco Canada, and Toys ‘R’ Us. 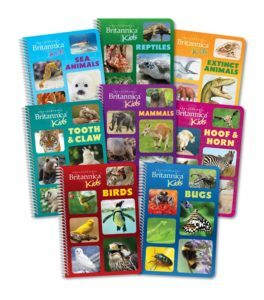 The Britannica Kids Interactive Animal Library is an 8-book boxed set, complete with the following titles: Tooth & Claw, Reptiles, Birds, Bugs, Extinct Animals, Amazing Mammals, Sea Animals, and Hoof & Horns. Each book is made up of interesting facts and questions and includes vivid photos and illustrations about a number of captivating animals. The set includes an interactive pen that lights up and provides audio answers to the quiz at the end of each section. This partnership, among others, adds to the wide array of Encyclopaedia Britannica and Britannica Kids–branded educational products sold at retail and online. The Britannica Interactive Animal Library will complement the launch of previous items at retail, including the Britannica Interactive Science Library, the Britannica U.S. Talking Puzzles, and the Britannica Kids: U.S. Presidents app on iTunes.